My latest crushes seem to be pretty graphic and bright. I think Spring is making me feel a tad more adventurous! 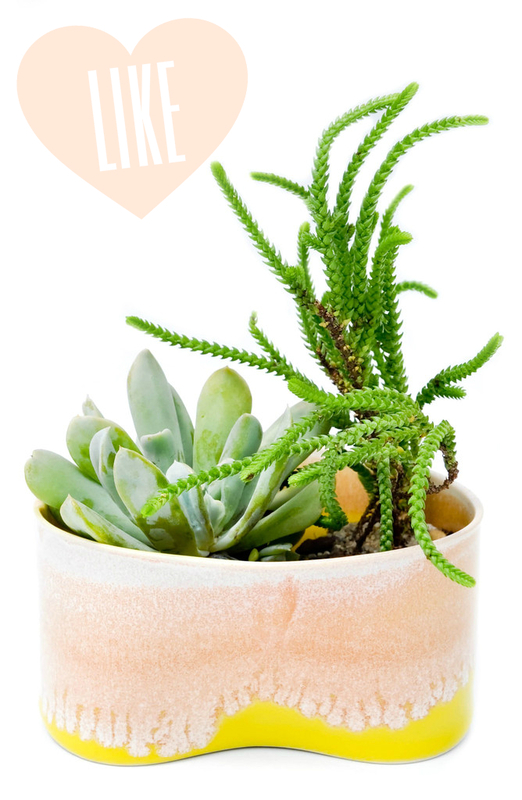 I love the small but powerful hit of color on this otherwise neutral little planter. I love pretty much everything at BabaSouk, and especially love that it is a Canadian store, but this sweater has me longing for fresh watermelon on a hot day. This has been calling my name for a while now and when I finally decided to get it I saw it wasn't in her store anymore! So I sent a bit of a panicky message to the seller and she reassured me the listing had just expired. WHEW! crisis averted.